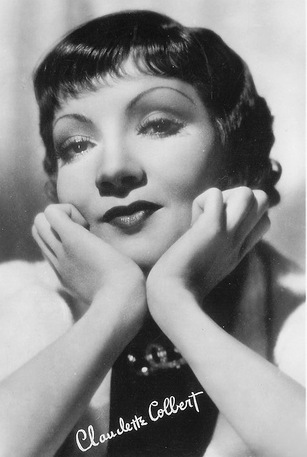 It was 110 years ago today, on 13 September 1913, that actress Claudette Colbert was born. She remains popular today, over fifty years after her last appearance in a feature film and over twenty five years since her last appearance on television. And there should be little wonder that Claudette Colbert's popularity should continue over the years. She was undoubtedly a beautiful woman, and a woman whose beauty did not fade over the years. She was 39 when she made The Palm Beach Story, yet she did not look much different than she did in her twenties. Of course, while Claudette Colbert was beautiful, it is because of her talent that she has remained popular over the years. 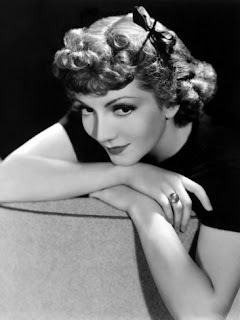 While Claudette Colbert made her share of dramas, it is for her skill as a comic actress that she is perhaps best remembered. She was the star of some of the greatest screwball comedies of all time, including It Happened One Night, Three-Cornered Moon, Midnight, and The Palm Beach Story (my personal favourite screwball comedy of all time). While she was incredibly gifted when it came to comedy, Miss Colbert was also a dramatic actress of great depth, appearing in such dramas as Private Worlds, Since You Went Away, So Proudly We Hail, and Imitation of Life. 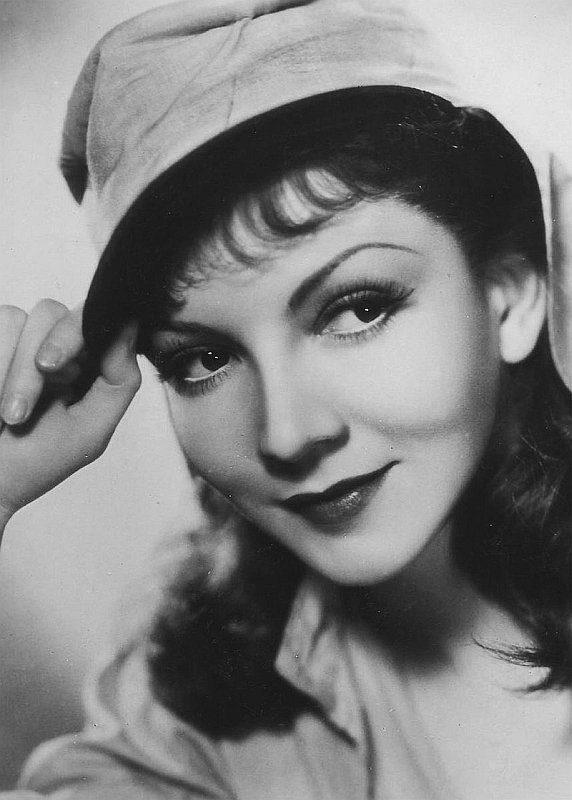 Beautiful and versatile, Claudette Colbert could play nearly any role given her, and played a wide variety of roles, from Cleopatra to a widow with a young daughter (in Imitation of Life). In honour of the 110th anniversary of Claudette Colbert's birth, I thought I would share a few photographs of an actress who was as talented as she was lovely. I have never been a fan of country music. In fact, I can count the artists considered "country" (to me it is a matter of debate as to whether they actually are country music artists) on one hand. Among those artists is Johnny Cash. I have been a fan of Johnny Cash for as long as I can remember, and to this day I count him as among my favourite music performers of all time, right up there with The Beatles, The Who, and Frank Sinatra. Sadly, it was ten years ago today that Johnny Cash died at the age of 71. It is hard for me to explain precisely why I love Johnny Cash, but I think it is because, contrary to those who would classify him as a "country music singer", he actually transcended genres. Over the years he performed songs that could be considered rock 'n' roll, rockabilly, blues, folk, bluegrass, gospel, and, yes, even country. Today Johnny Cash's music is counted as part of the genre of Americana, a loose subgenre of folk that blends folk, rock, country, and other roots music genres together. In the end, however, I think it can be said Johnny Cash's songs were all his own. Quite simply, Johnny Cash was his own, one man genre. Indeed, much of what set Johnny Cash apart from other musical artists was his choice of subject matter. At a time when rock 'n' roll, rhythm and blues, and country were generally concerned with matters of the heart, Johnny Cash explored deeper themes. Of his well known songs this may be best seen in "Man in Black", a protest song in which Johnny Cash explains that he wears black for those who are on the periphery of society. Another one of his famous songs, "Folsom Prison Blues", dealt with a prison convict who now regrets the path that his life has taken. Even when Johnny Cash did write a love song, it often went well beyond a simple, romantic expression. His first big hit, "I Walk the Line", is obviously a love song, but it also an expression of being true both to those one loves and to oneself. Throughout his career Johnny Cash examined the human condition in his song, often dealing with such themes as morality, redemption, and sorrow. Of course, that is not to say that all of Johnny Cash's songs were dark and serious. He performed several humorous songs over the year as well. His best known humour song, "A Boy Named Sue", was written by poet Shel Silverstein and dealt with an unfortunate whose father decided to give him a feminine name. Another humour song performed by Johnny Cash was "One Piece at a Time". Written by Wayne Kemp, the song deals with an auto worker who builds his own car by swiping "one piece at a time" from the factory at which he works. Johnny Cash even wrote his own humour songs. "Chicken in Black" was a bit of self parody in which his brain is transplanted into a chicken's body. As hard as it is to believe now, Johnny Cash's career faltered in the Seventies and the Eighties. Columbia Records, with whom he had been since 1960, dropped him in the mid-Eighties. A stint with Mercury Records proved no more successful than his later work with Columbia. Fortunately, his career was rejuvenated in the Nineties after signing with American Recordings. A whole new audience discovered Johnny Cash and, like many of his earlier fans, they were not necessarily country music fans. He recorded four more albums during his life, with two more released posthumously. Although Johnny Cash is still regarded by many (perhaps most) people as a country music artist, his influence would go well beyond that genre. He had an impact on a wide array of artists ranging from Bob Dylan to Bruce Springsteen to Tom Petty to Chris Isaak to U2. 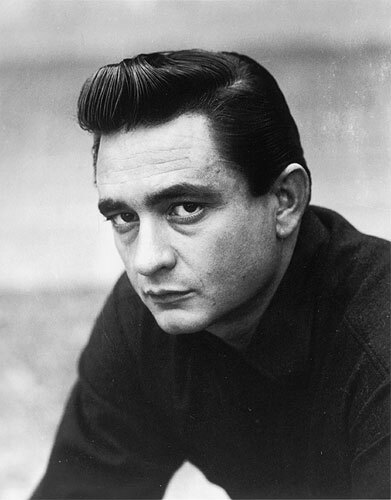 Arguably Johnny Cash's shadow looms over music genres as diverse as Americana and punk rock. Indeed, Johnny Cash is the only music artist to have ever been inducted into the Rock And Roll Hall Of Fame, the Country Music Hall Of Fame, and the Songwriter's Hall Of Fame. Johnny Cash transcended genres and as a result he had an impact that only a very music artists ever have.